Do AML compliance managers need tech support? Money-launderers, terrorism financers and criminals are getting more sophisticated every day, and so financial regulations are growing ever more strict in response. The economic impact of crimes like money laundering and terrorist financing cannot be overstated. They drain resources from a country’s productive economic activity – potentially destabilising its financial sector and wider economy – and help fund terror atrocities that can threaten the security of entire regions, impacting on international peace and prosperity. With national economies now so interlinked and interdependent, the impact of these crimes is felt around the world, yet it is still all too easy for fraudulent activity to occur. The complexity of the international financial system, as well as variations in national legislation provide a convenient way for money launderers and terrorist financiers to move their money between jurisdictions without being caught. This makes it all the more important for governments and businesses to work together to eliminate the problem once and for all. 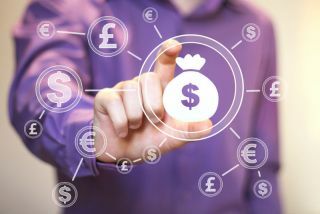 To address this issue, governments around the world have implemented strict, multi-layered local and global Anti-Money Laundering (AML) legislation, alongside regulations stipulating Know Your Customer (KYC) checks. In order to continue operating in these regulated markets, financial services companies must take every measure to comply with these standards. The complexity of these legislative requirements, though, can prove a challenge for financial services businesses and their team members. For example, both the ESA’S Final Guidance on Risk Factors for financial institutions and the JMLSG’s Prevention of Money Laundering guidance require institutions not just to determine whether there are any adverse media reports against a potential customer. They also need to find out whether they or anyone closely associated with them have had their assets frozen due to administrative or criminal proceedings. More, they must identify whether the customer has been the subject of a suspicious transactions report in the past, and they must find out if they have their own in-house information about the customer’s integrity. In addition to all of this, the ESA Risk Factors guidance expects companies to consider the credibility of allegations on the basis of the quality and independence of the source of the data and the persistence of reporting of these allegations. All of these requirements can be quite a burden for compliance managers to bear on their own. Increasingly, they are turning to technological solutions to help run these necessary deep customer background checks. This regulatory technology (RegTech) can provide compliance managers with the support they need to do the heavy lifting relating to AML legislation. In particular, a new wave of artificial intelligence (AI) RegTech is playing a major role in assisting compliance teams in upholding AML and counter-terrorism legislation around the world. AI is fast-establishing itself as an important tool in the fight against financial crime. Unlike a human team member, AI technology doesn’t need sleep or breaks. It is capable of operating around the clock, 24/7, 365 days a year, running constant checks on both prospective and existing customers, ensuring managers are alerted the minute any critical information relating to a client appears, so they can make a judgement and take appropriate action. Advanced AI solutions are capable of doing even more than simple continual searching. Cutting-edge AI can offer even more features that can support compliance managers in providing the deeper due diligence required to meet regulatory requirements and help to prevent money laundering in the future. Cutting-edge AI systems are capable of going even further than traditional compliance technology, by exploring information far beyond the relatively small bubble of the internet currently open to ordinary consumers. One such example is “Samantha”, the new digital compliance assistant with Kompli-Global’s SaaS-based search platform, Kompli-IQ. Samantha can continually and consistently monitor for all publicly available relevant risk information – often known as “adverse information” – to help analysts uncover negative news on individuals and company owners who may pose regulatory and reputational risks to businesses. This adverse information includes sanctions and watch-lists, watchdogs, business registrations, regulatory filings and databases, as well as blogs, digital and traditional media. Samantha can explore the un-indexed “Deep Web”, sifting through millions of items of uncategorised data and documentation to find any relevant adverse information on customers and their connections. The technology searches more than 500 “stem words” against a target subject’s name that might be associated with financial crimes, and does this not just for documents in English, but in all other languages and regional dialects as well. In doing so, it helps compliance managers overcome language barriers to provide a deeper understanding of customers’ global activities. It would take days for a human compliance team to find and analyse all of this information, but technologies like Samantha need only minutes to interrogate the data to find “bad actors” and other indicators of financial crimes. It then reports back to risk managers on areas worthy of further investigation, requiring verification of suppressed or falsified information. On top of all of this, unlike traditional RegTech systems, Samantha is voice-activated, which means that compliance teams can interact with the system in the same way they would with a human colleague. With this feature, they can initiate a search by voice command while they are away from their desks or in the middle of a different task, helping to further boost productivity. The combination of expert insight from a company’s human team and AI rigour from solutions like Samantha can be crucial in enabling banks to meet their legislative requirements, by finding critical information that would otherwise be too costly and time-consuming to search for. Money-launderers, terrorism financers and criminals are getting more sophisticated every day, and so financial regulations are growing ever more strict in response. As a result, it is likely that the legislative burden on compliance managers in the financial sector will grow ever more onerous in the next few years. With the right RegTech tools though, compliance teams can overcome this challenge and meet even the most rigorous and complex regulatory requirements quickly and efficiently, saving time and money. Working alongside each other, AI and human managers can provide an effective obstacle to money launderers and criminal financiers, protecting us all from the financial crime threat well into the future.